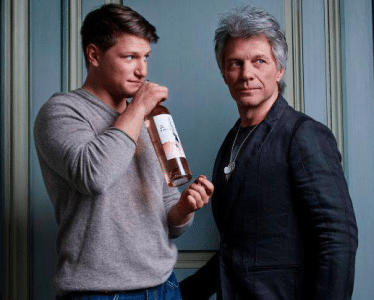 Bon Jovi frontman Jon Bon Jovi was recently interviewed by the Entrepreneur about Hampton Water Wine, which he launched along with his son Jesse Bongiovi and French winemaker Gérard Bertrand earlier this year. Hampton Water Wine was just recently named the Best Rosé of 2018 by Wine Spectator in the publication’s Top 100 Wines ranking. 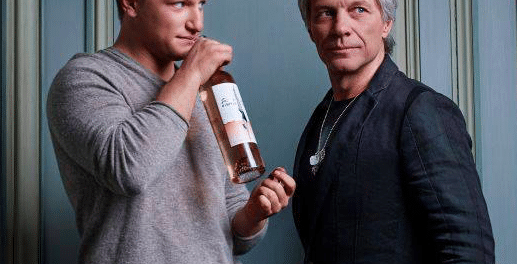 In terms of what prompted him to get into the winemaking business to start with, Jon Bon Jovi advised: “My son, Jesse, deserves all the credit in regard to us getting into the wine business. One summer night, about two and a half years ago, I was drinking some rosé, a staple in our household, with Jesse. It was getting late, so I offered him one last glass of “pink juice” before calling it a night. Jesse sort of laughed and told me that no one refers to rosé as “pink juice” anymore; it’s now Hampton Water. I said right then and there what a great name that would be on a bottle, and Jesse lit up. You can read the rest of the interview with Jon Bon Jovi at the Entrepreneur.